Offerings include 16 ways to "Be Internet Awesome," maker space tips for an "evil genius," and more. Summer means technology updates and announcements. 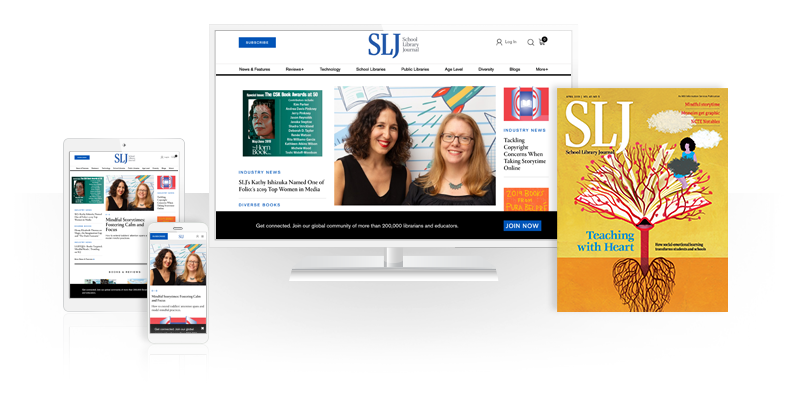 This month’s offerings include a set of digital citizenship lessons from Google, a new app from Sphero, and two books school library media specialists will surely want on their shelves. Just in time for the new school year, Google’s “Be Internet Awesome” digital citizenship lessons include 16 activities to teach about online safety, sharing, privacy, and kindness. Aligned with the ISTE Standards for Students, the lessons are designed for grades three through five. 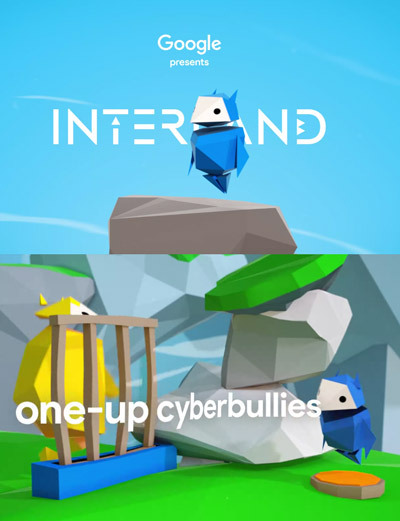 The website also features “Interland,” a game for students that reinforces lesson concepts. Download the curriculum, a poster, and the “Be Internet Awesome” pledge. 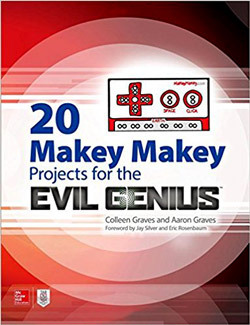 Colleen Graves and Aaron Graves, the authors of The Big Book of Maker Space Projects (2016), have a new book: 20 Makey Makey Projects for the Evil Genius (Jul. 2017, both McGraw-Hill). The authors are known for their low- and high-tech maker activities that include easy to follow, step-by-step illustrated instructions. Colleen Graves, a maker guru, has shared many of her lessons through the SparkFun and Makey Makey websites. For a sneak peak of the book, visit Graves’s website. Another upcoming go-to title for school media specialists is Reimagining Library Spaces: Transform Your Space on Any Budget (ISTE, Nov. 2017) by Diana Rendina, winner of SLJ‘s 2015 Build Something Bold Award and the 2016 ISTE Award for Outstanding Young Educator. In the book, Rendina shares her experiences redesigning a middle school library space. The author offers advice on incorporating community voices into library redesign as well as a primer on design theory. Learn more about Rendina’s work on her “Renovated Learning” blog. 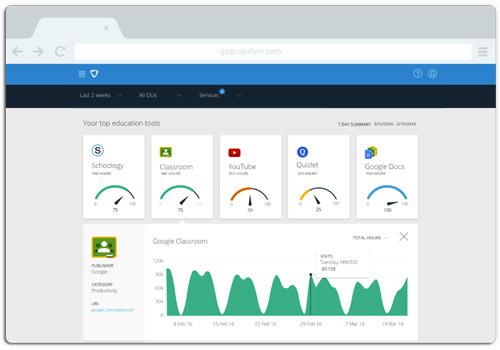 GoGuardian Admin 2.0 is a management solution for Chromebooks that allows schools and teachers to filter and monitor websites that students visit in real time. The latest GoGuardian feature is Smart Alerts, a notification system that signals teachers if students are visiting sites with questionable content. Once informed, teachers can block the sites or message students about their browsing choices. Google’s new Google Earth Voyager program (compatible with Google Chrome) has received significant content updates this summer. Partnering with PBS, Mission Blue, HHMI Biointeractive, and National Geographic, Google Earth Voyager released 13 new classroom-friendly tours that take students around the world, employing 360-degree videos and satellite photos and imagery. The PBS tours tell stories of explorers and exploration, from Zheng He to Lewis and Clark. Mission Blue transports students to Costa Rica for an underwater excursion, while HHMI Biointeractive lets students investigate the science of Ebola outbreaks and coral reefs. The National Geographic stories focus on human environment interactions. SecondSTEP’s social-emotional skills programming has been in use for more than 20 years. Their SecondSTEP Suite combines the Committee for Children’s social-emotional (SEL) programs with their bullying prevention and child protection lessons for children preschool through eighth grade. Lessons focus on how to view issues from other perspectives, to manage emotions, and to problem solve in social situations. Training is available for educators through the curriculum and the on-demand webinar gallery. Learn more at the SecondSTEP website. The new, robust Sphero EDU app, combines the features of the Sphero, Ollie, and SPRK Lightning Lab apps. The app features a Twitter feed highlighting tips and tricks from Sphero and other educators. “Programs” and “Activities” menus allow users to create their own programs to control Sphero robots and to access programs created by Sphero’s team of experts and community members. Users create an account to log in and save programs and activities. The “Drive” menu lets users connect to Sphero, SPRK, Ollie, or BB-8. Ever wondered what Sphero or Ollie look like inside? The new app features 3-D models of both. Veative Labs debuted their virtual reality headsets in the United States at ISTE in June. Designed for educational settings, the headsets feature built-in smart devices and a controller. Teacher headsets control all student headsets. More than 300 virtual content modules for middle and high school science and math instruction are available through the Veative Library (with a goal of 1,200 total modules by the end of the year). Pricing for schools is based on an annual licensing fee per student. A set of 30 kits for 500 students is $9,999 per year. Schools can opt for a basic headset that does not include the built-in smart device for $29 per year per student. The Veative VR Learn app is only available for Android devices.